Weekly Standard: Only Explain Mitt Romney is trailing in the polls after the conventions. The Weekly Standard's William Kristol argues that to win the election, Romney should focus on his own strengths, not President Obama's weaknesses. Read Another Perspective On Romney's Campaign Strategy. William Kristol is the editor at The Weekly Standard. Early Friday morning, September 14, a movie-loving and Romney-supporting friend emailed: "I'm starting to panic. Tell me not to." I sent back the obvious response, citing the great Aladdin: "Abu, this is no time to panic. . . . Start panicking!" A little panic never hurts a trailing campaign. Panic can be your friend — if it leads to a few basic adjustments. And with a few basic adjustments, Mitt Romney can win the presidency — without the help of a magic lamp or a genie. On August 11, the day Romney picked Paul Ryan, he was down by about four and a half points in the Real Clear Politics average of polls. Two weeks later, on the eve of the Republican convention, after a period of intense and policy-heavy debate on the Ryan budget, welfare reform, defense spending, and Medicare and Obamacare, Romney and Ryan had closed the gap to a point. Then came a Republican convention whose main message in its most important moment — Romney's speech — was that the GOP nominee is a decent family man who isn't engaged in a war on women. Why Romney and his top strategist, Stuart Stevens, set aside speech drafts that made the case for a Romney presidency in order to spend valuable time trying to reassure Americans that Mitt and Ann Romney would be nice and considerate neighbors (in the unlikely event they happened to move into your neighborhood) remains a mystery. Romney's speech may have addressed the concerns of mythical swing voters conjured up out of many focus groups sessions. It predictably failed to win over actual voters, who wanted to hear what Romney plans to do as president of the United States. They didn't hear much about that from Romney. In Charlotte the next week, the Democrats — especially Bill Clinton — filled in the blanks. They explained that Romney was going to raise taxes on the middle class and didn't know or care much about foreign policy. Obama got a nice post-convention bounce. That seems now to have crested, leaving Obama with about a three-point lead in the polling average — more or less where the race was before the Ryan pick. The Republican convention was a missed opportunity for Romney. But there's no need to keep missing opportunities. And they're plentiful. Unfortunately for the country, every day seems to provide another marker of a failed Obama presidency. In Washington, the Federal Reserve announces yet more quantitative easing — a foolish step, but one that's also a remarkable acknowledgment of the ineffectiveness of three and a half years of Obama economic policies. In Cairo, the site of Obama's speech in his first year as president laying out his new approach to the Muslim world, and in Benghazi, the place that allegedly vindicated his strategy of leading from behind, we saw last week the tragic consequences of the Obama administration's weakness abroad. So if it's time to panic, it's time to panic about the prospect of four more years of Barack Obama as president. And the message from The Weekly Standard genie to the Romney campaign is simple: Explain how ghastly the prospect of four more years of Obama really is. And explain the course that a Romney-Ryan administration will follow, and how those new policies will lead to national recovery. Enough about the last four years. Obama's mistakes as president are pretty clear. Tell us about the next four years. Tell us about the choices ahead, not the failures behind. Tell us about the full spectrum of choices we face. Make a case for your presidency, not just against the current president. It really isn't enough — it actually diminishes the substance of this election — to say, as you did in your acceptance speech, "President Obama promised to begin to slow the rise of the oceans and heal the planet. My promise is to help you and your family." No, please. We and our families would like you to help our country. Don't worry about "connecting" with the rest of us. Explain how you're going to lead the nation. Explain how you'll reform the tax code and get entitlements under control and repeal and replace Obamacare and fix monetary policy. Explain how you'll do at the national level what conservative (a word absent from Romney's acceptance speech) reform (another word absent from that speech) governors are doing successfully at the state level. Explain that what's at stake is the country's future, not just the economy's. Explain that as president you'll provide strong leadership abroad, not just business skills at home. Explain that presidents make judicial appointments and that their cabinet members make decisions affecting religious liberty, among many, many other issues. Aladdin had a happy ending. So can this campaign. But a Romney victory isn't going to happen magically. Even Aladdin's triumph depended on his own skills. 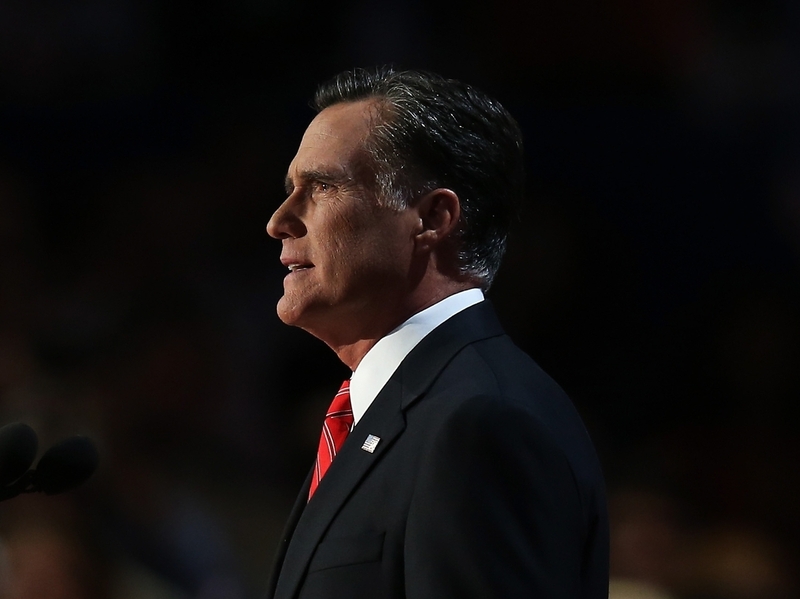 Mitt Romney can fix his campaign and win this eminently winnable election. If he doesn't, we'll be stuck with four more years of Obama. That won't have a happy ending.